"NOT FLOODED AREA BY THE HARVEY! AND VERY AFFORDABLE" one story all brick home nestled conveniently near Highway 6/Briar Forest. Nicely upgraded kitchen has good size with a breakfast bar and standard appliances. The living area and formal dining look great with the laminated wood flooring. Walk around fireplace is the perfect centerpiece for this house between the dining and living. Master bath has dual sinks and a tub with shower combination. Ceramic tile in all wet areas. Large back yard and private front entrance. Driving Directions: I10 to Highway 6S, left on Piping Rock, 1st right on Briarview, 2nd house on the right. 2206 Briarview Drive, Houston, TX 77077 (MLS# 11836771) is a Single Family property with 3 bedrooms and 2 full bathrooms. 2206 Briarview Drive is currently listed for $209,900 and was received on March 02, 2019. Want to learn more about 2206 Briarview Drive? 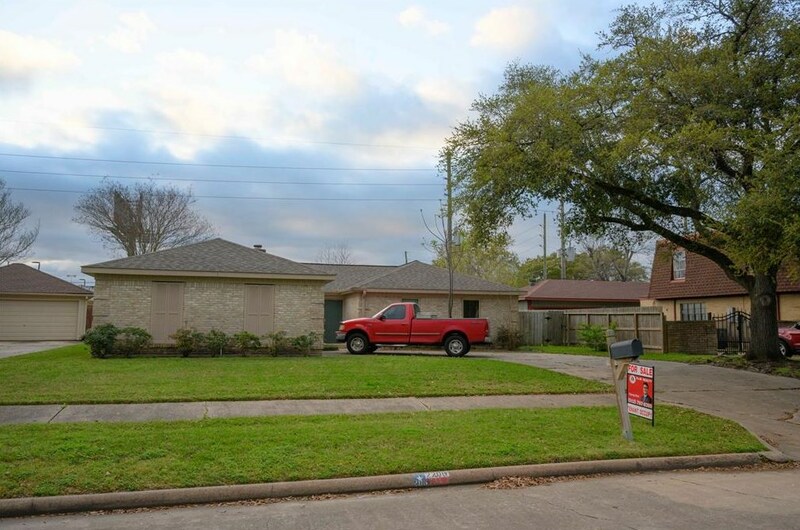 Do you have questions about finding other Single Family real estate for sale in Houston? You can browse all Houston real estate or contact a Coldwell Banker agent to request more information.